Modrall Sperling won a Gold Award for its workplace policies from Family Friendly New Mexico (FFNM) for the second year in a row. The law firm is recognized for having family friendly policies that help employees be successful at work and at home. Gold Award recipients have family-friendly policies in each of FFNM’s four categories: Paid Leave, Health Support, Work Schedules, and Economic Support. 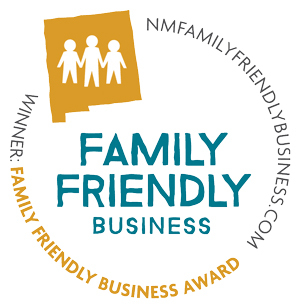 FFNM is a nonprofit initiative that recognizes and supports businesses that adopt and implement family friendly policies for their employees.